The first autonomous car designed and built in India is a big deal. 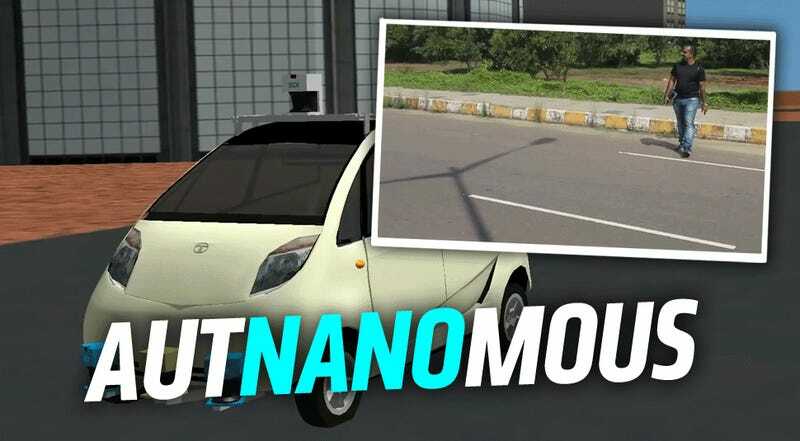 So is the fact that the project was done by a small team, led by Dr. Roshy John of Tata Consultancy services, and that the autonomous car is a Tata Nano. But I think the hidden big news is that this is the first autonomous driving system that can drive stick. Before I get too into the details of his three-pedal Nano-robot, it’s worth mentioning why he decided to do this in the first place. Dr. John got in a cab late one night after arriving from a flight, and, even though he was exhausted, offered to drive the cab home himself because his driver was even more tired than he was, and was falling asleep at the wheel. As someone who has driven in India, the experience must have been really, really alarming to get someone used to Indian roads rattled. That was the moment he decided to develop an autonomous car. The system John designed is similar to many others in terms of the sort of computer-vision and sensor systems its using, but it very different regarding the physical implementation of the system with the car. 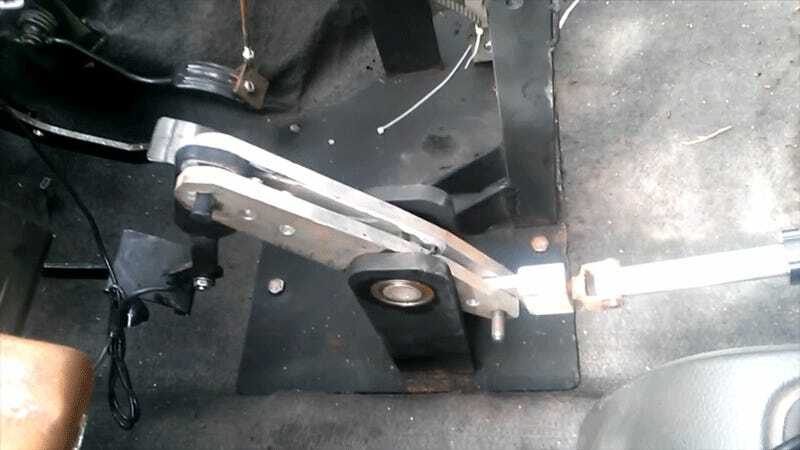 John and his team chose to use a Tata Nano for their robot-car, and the selected that platform primarily because it was rear-engined, and offered a lot of room up front for sensors and electronics. The really interesting thing about their choice of the cheapest car in the world is that, unlike nearly every other autonomous car currently in development, the Nano is not an electronics-saturated drive-by-wire machine. That means the autonomous system uses a lot of physical actuators to operate the car’s controls. The setup used to shift the manual transmission is a perfect example of this. Initially, they assumed an automatic transmission for all their simulations, but when they decided on the Nano they realized they needed to develop something that could drive stick. The result is different than a DSG-type of automatic-manual gearbox, and rather actually uses the physical motions of driving a manual – there’s an actuator for the clutch, one to move the gearshift, all that. It literally drives stick. The team says the system could be fitted to almost any vehicle in about an hour, which suggests that what they’ve really made is a robotic chauffeur, much like the sort of thing I’ve imagined before. This system they’ve developed appears to be something that, hypothetically, could be retrofitted to almost anything, vintage or modern, and that’s a strangely compelling idea. Sure, most of us want to actually drive the vintage cars we’re interested in, but this could be a way of keeping vintage cars around and relevant well into an era when driving is a much rarer skill.